The ‘use-it-or-lose-it’ provision of tax-exempt flexible spending accounts really, really irks me. I just don’t get why it is that unspent money should be forfeited at the end of the year. Why should honest, hard-working people be penalized if they have an unexpectedly good year and spend less than anticipated on medical care? 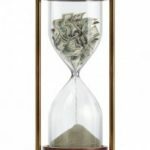 Likewise, why should people be forced into an overly conservative estimate of their likely medical expenses during the upcoming year just because they’re afraid of losing their balance at the end of the year — the money lost to unnecessary taxes is just as real as the money forfeited if people overestimate their qualified expenses. Part of the problem seems to be that the IRS allows employers to set their own contribution limits for medical FSAs (see here for details) — if employers set a fairly high limit and employees are allowed to add and carry over money indefinitely, then I’m sure that more than a few enterprising souls would figure out a way to seriously abuse the system. But it doesn’t have to be that way. From my perspective, it would make far more sense if the IRS (or even employers) would just set a maximum limit on account balances. They could then allow you to carry money forward if necessary, and simply reduce your allowable contribution in the coming year by the amount that you are carrying over. For example, if the maximum balance for 2006 was (say) $4, 000 and you ended up carrying $500 forward from 2005, then you would only be allowed to contribute a maximum of $3, 500 for 2006 (giving you a total balance of $4, 000). 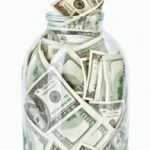 That way nobody would be able to accumulate an unlimited pile of cash in their FSA, nobody would have to forfeit unspent dollars at the end of the year, and nobody would be forced into making overly conservative contributions for fear of losing unspent money. One difficulty with this plan is that open enrollment is typically in the fall (at least at my employer), but you have until the end of December to incur eligible expenses. On top of that, you often have an additional two months to claim your refund. Thus, the year could be nearly a quarter over before you (or your employer or the IRS) would know how much you had left at the end of the previous year. However, it wouldn’t be all that difficult to simply adjust down the remaining contributions to fit under the cap, and possibly add penalties where necessary. Another possible difficulty is that you’re allowed to take money out of FSAs faster than you put it in, which can result in a shortfall for the employer if an employee cashes in and splits. From what I’ve heard (read the comments following this article), the forfeited money is used to help offset these sorts of shortfalls. Although I’ve personally benefitted from this loophole, I don’t think that it’s unreasonable to expect employees to pay back their excess withdrawals if they leave a job before sufficient contributions have been made. The bottom line is that, although this might take a bit of additional work and creative thinking to implement, it’s definitely doable, and it would end up being a far more fair system than what is currently in place. @Mike: Food is taxed, generally. Some (not all) states exempt food from their state sales tax; medical care is likewise exempt from sales tax. We’re not talking about sales tax, though — we’re talking about federal income tax. When you buy groceries, you do it with after-tax money. When you buy health care, you can do it with pre-tax money in certain cases like the FSA, but it’s generally also with after-tax money. If you have extreme healthcare costs, you can deduct them. What this (old) post is really driving toward is wishing that FSAs would turn into HSAs — which are tax-free for healthcare, and do accumulate year-to-year. Why not just make health care tax-free? Like food, everyone needs it. Food isn’t taxed (generally), so it would be an easy way to make health care more affordable to all. I haven’t heard this idea come up in the congressional deliberations on Obama’s Health Care Reform agenda. Why? Can someone explain the rationale behind the use it or lose it rule? Its your money, if you don’t spend it, you should either get it back and have to pay tax on it, or you should be allowed to carry it forward to the next plan year (subject to a maximum accumulation/cap) – why make such a restrictive rule? Personal Spending Accounts have been in the agenda for the current congress. At some point there was a proposal stating that money not used could be carried over. Maybe it will be discussed when the Congress comes back from recess. I agree — it seems all messed up from a practical applications standpoint. It’s so bad that it’s almost not worth the hassle for me. The way I understand it, any forfeited money goes back to the empoloyer. In my case, my employer has commited to returning any forfeitted money back to the employee. They are looking into ways to carry this over tax-free, but if that doesn’t work, they will cut bonus checks for the ammount. In this case we will be taxed on the money, but won’t lose it! My employer also matches medical FSA contributions 2 for 1 up to $1000 matching. I put in $500, the company puts in $1000. Why wouln’t you without the threat of losing it? The reason my company is doing this is in an effort to move toward a medical savings account model with high deductible insurance only covering high dollar events. The goal is to enable employees to build a medical nest egg to cover the difference.